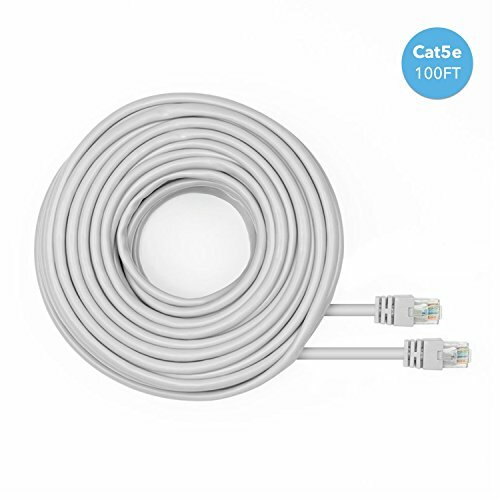 Connecting your devices to the internet has never been easier. 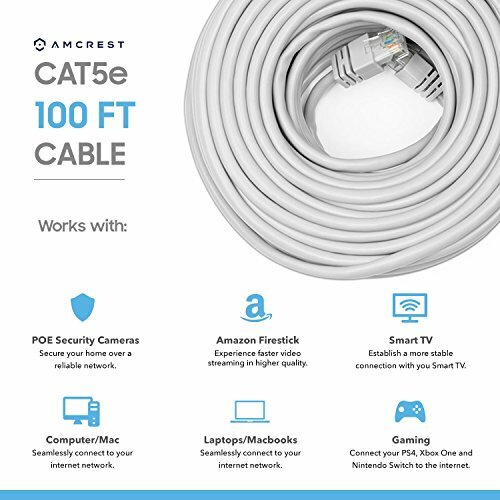 With this 100ft ethernet cable, you can establish a reliable, secure internet connection within minutes. Once connected, worry less about the threat of signal drops and focus more on doing the things you love. 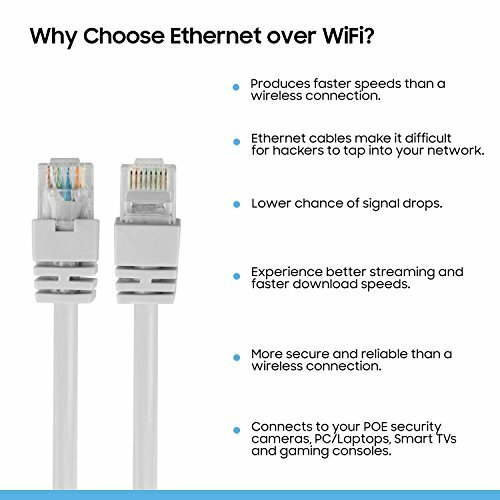 *The speed of your router and overall network can affect the performance of your ethernet cable. Worry less about signal loss so that you can spend more time doing the things you love.Features higher attenuation and lower resistance in order to give you a fast and reliable internet connection. Here at Amcrest we love our customers and our products. To make sure you get the most out of your product, you will receive a 1 Year Warranty for replacements and 30 days for returns when you purchase from Amcrest Direct.